Do what's best for you in life. If you do not maintain a certain level of self care you are eventually going to break down because this world is a constant fight. This world drains you of time, energy, and money by the second and that's why loving yourself and living happily is so IMPORTANT to your ability to live. To bring happiness and love to others you must first have it for yourself. 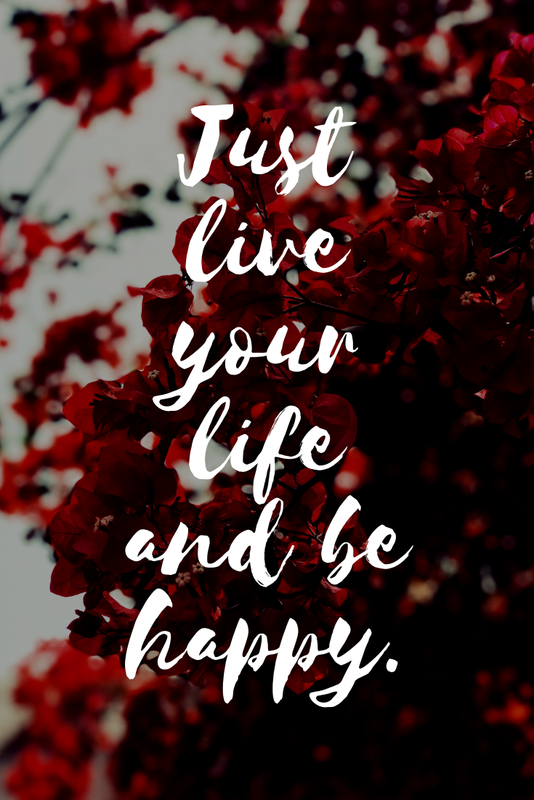 Just live your life and be happy.